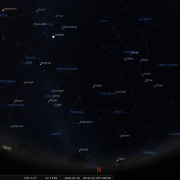 Following February, which saw no full Moon, March -like January - has two full Moons, the 2nd and 31st , the latter being yet another ‘rare’ blue moon. 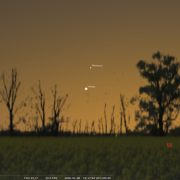 The Moon is also involved in two occultation’s of bright stars, Regulus in Leo on the morning of the 1st and Aldebaran in Taurus during the late evening of the 22nd. 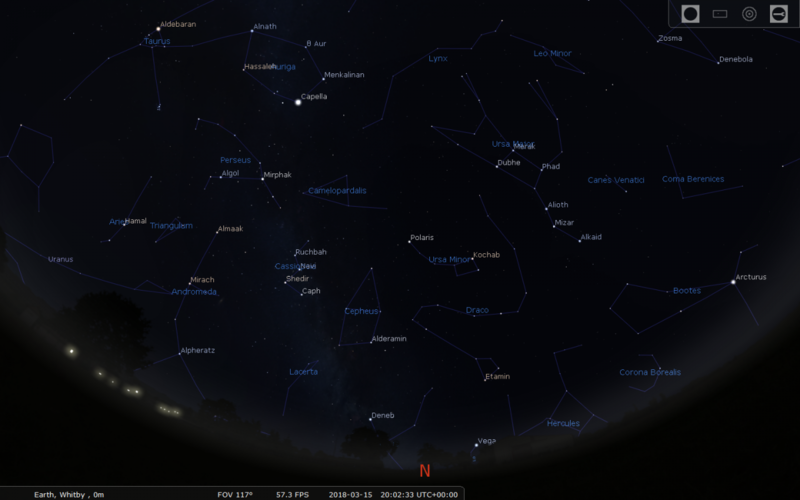 During an occultation the moon will pass in front of the star involved. 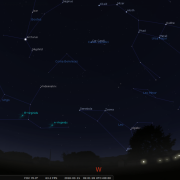 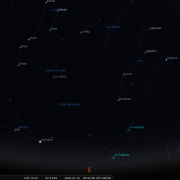 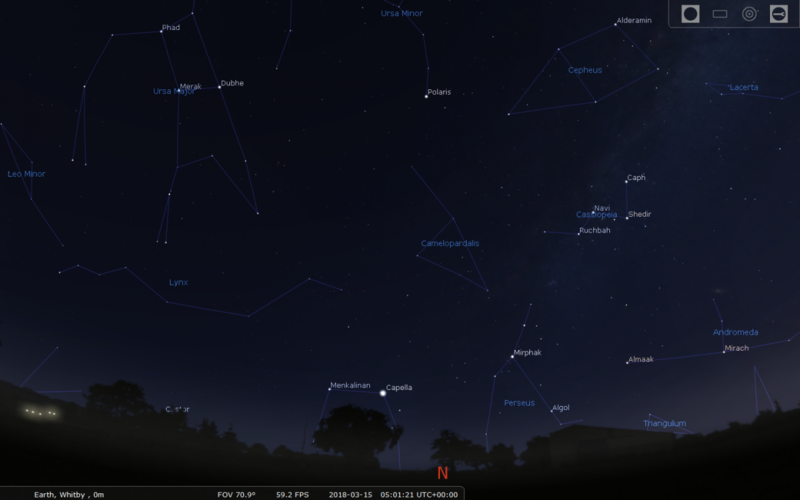 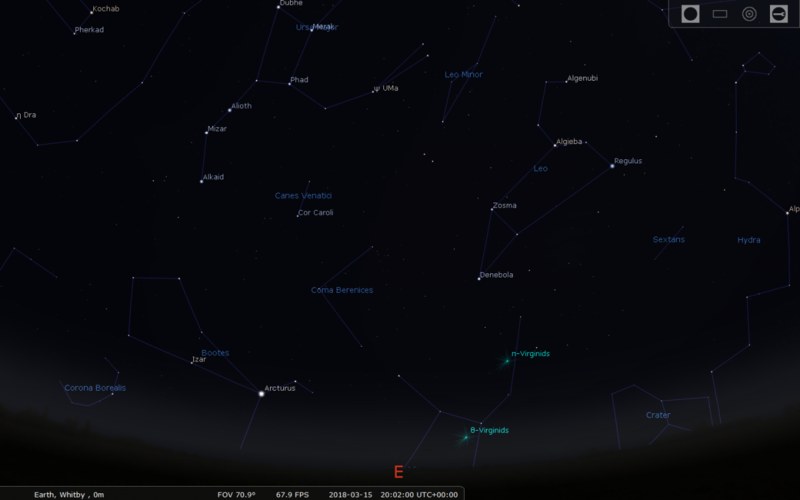 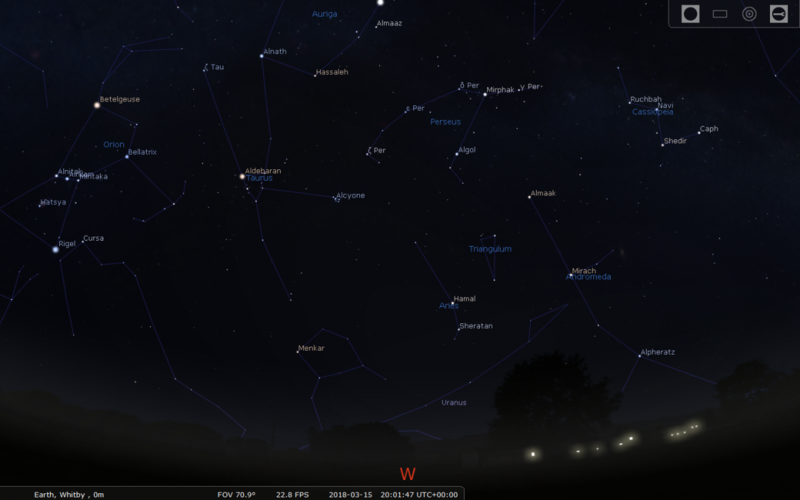 On the 1st the Moon will occult Regulus from around 05:50h very low in the west. 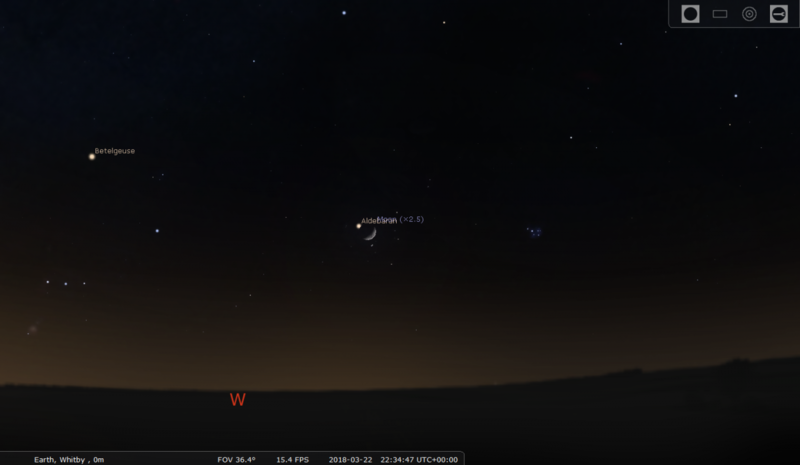 The Aldebaran occultation will commence around 23:00h and again will be low in the west sky. 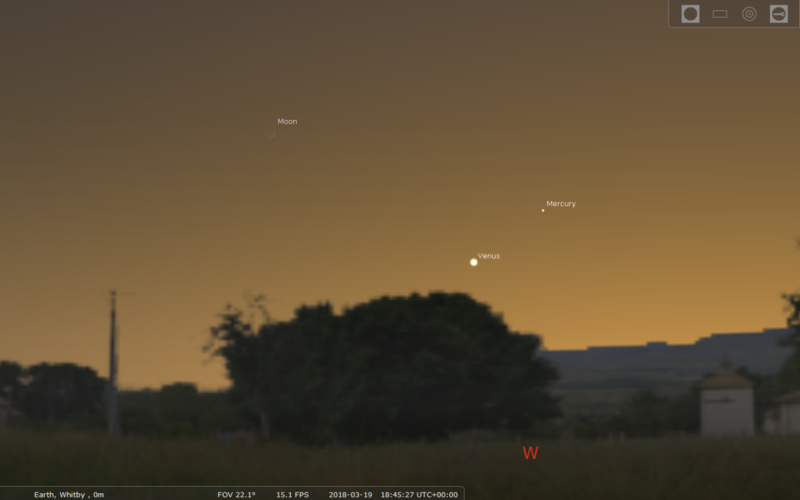 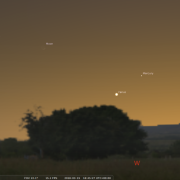 In the evening sky Venus and Mercury put on a splendid show for the first half of the month. 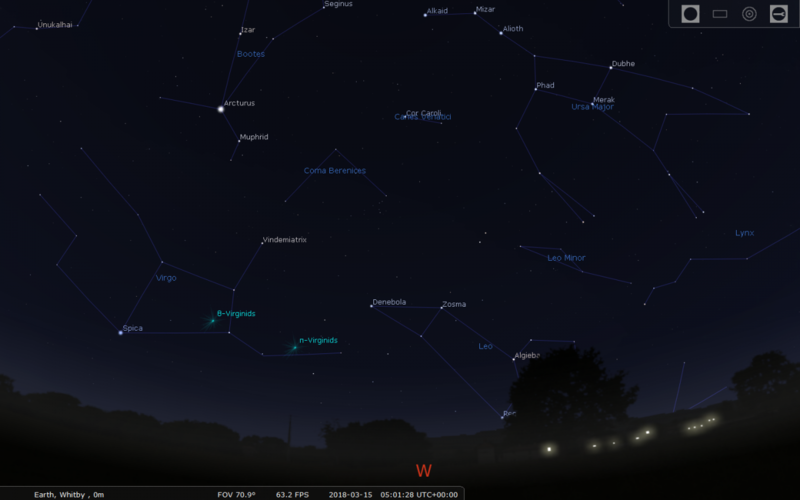 You will locate them low in the west 40 minutes after sunset (around 18:00-18:15h). 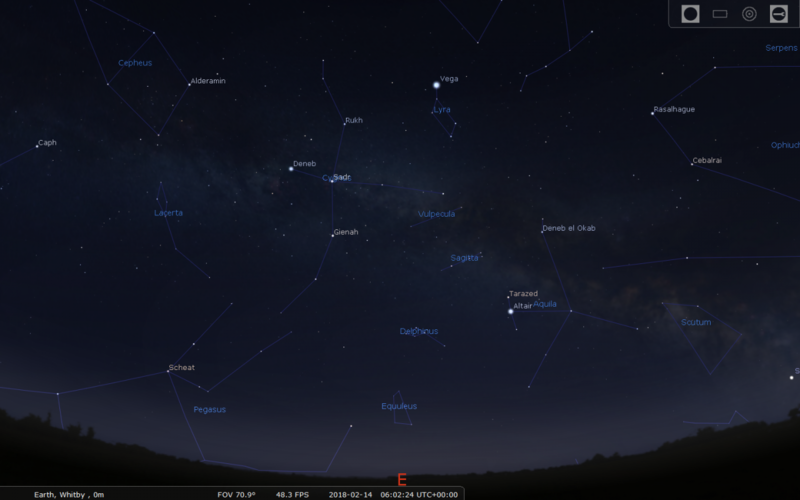 View on the 3rd when both lie side by side just over a degree apart. Venus will be far the brighter, but Mercury will be pretty conspicuous also (mag-1.2). 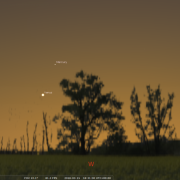 Over the course of the next two weeks, Mercury arcs up into the sky to around 10 degrees, reaching greatest elongation on the 15th before dropping back to the horizon by the end of the month. 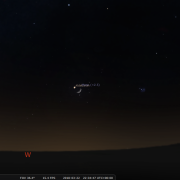 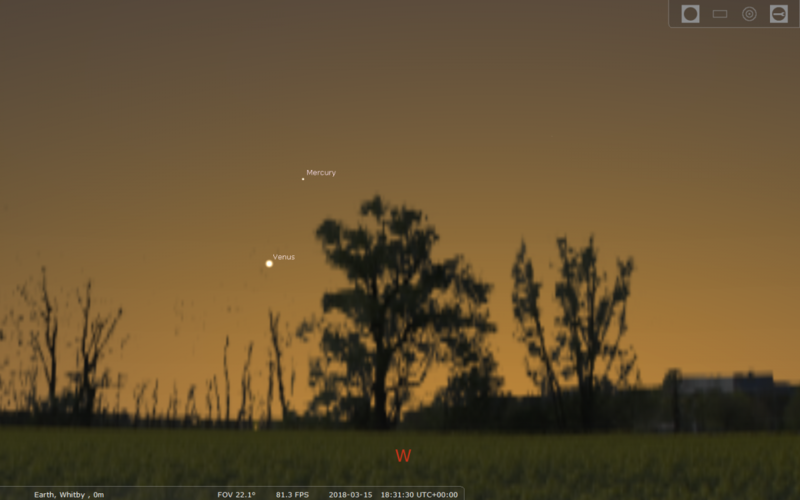 Venus climbs slowly into the sky during March. 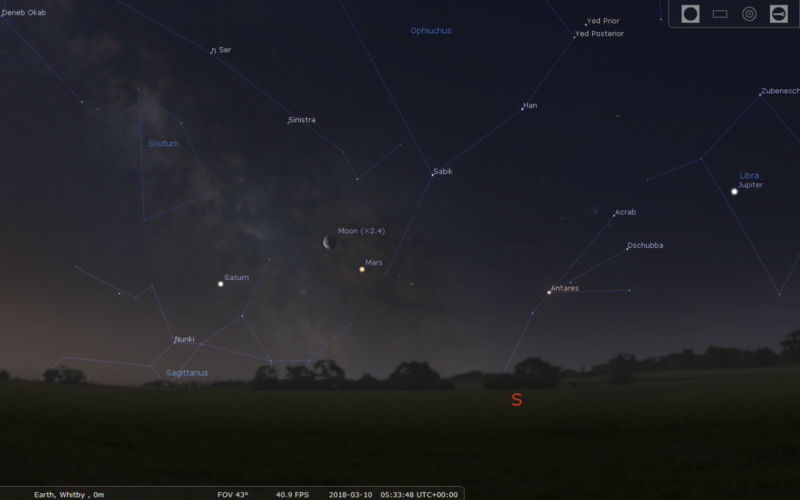 The Moon lies nearby on the 18th. 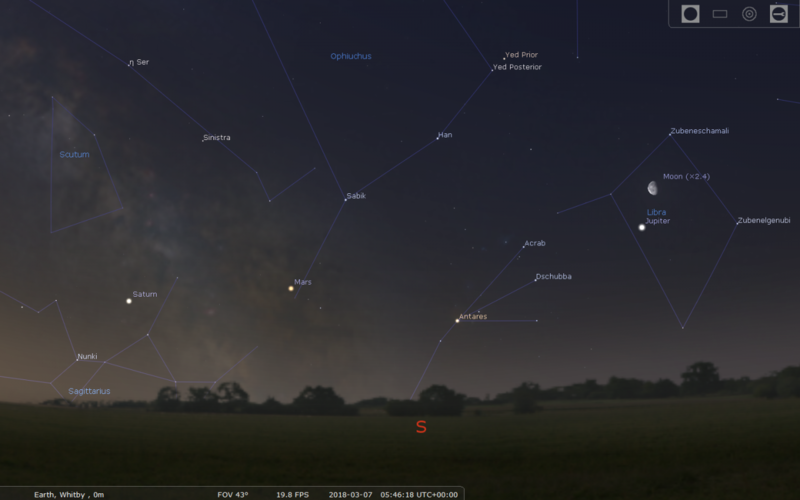 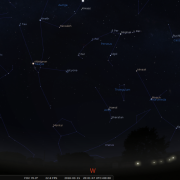 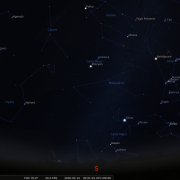 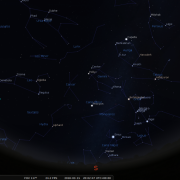 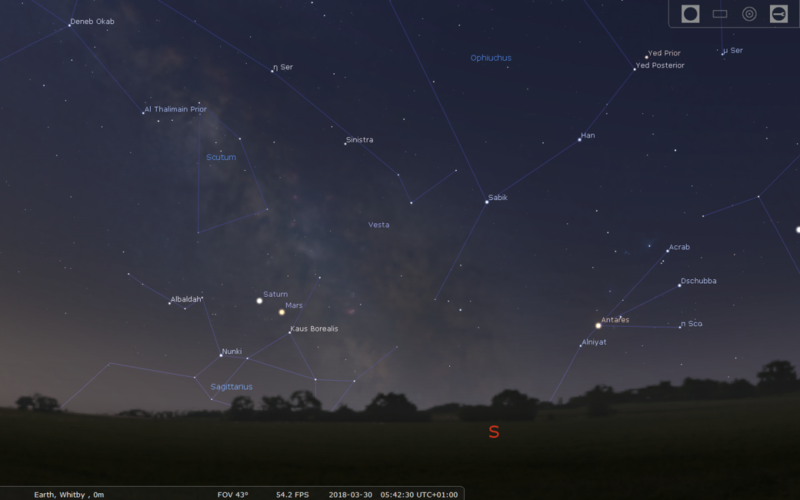 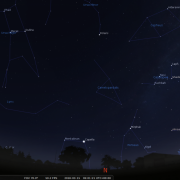 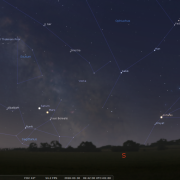 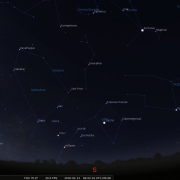 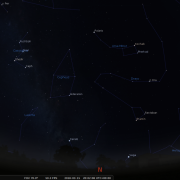 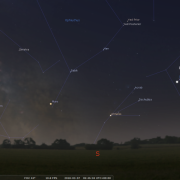 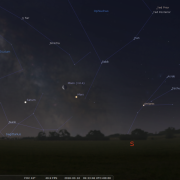 In the dawn sky Jupiter, Mars and Saturn are all to be found. 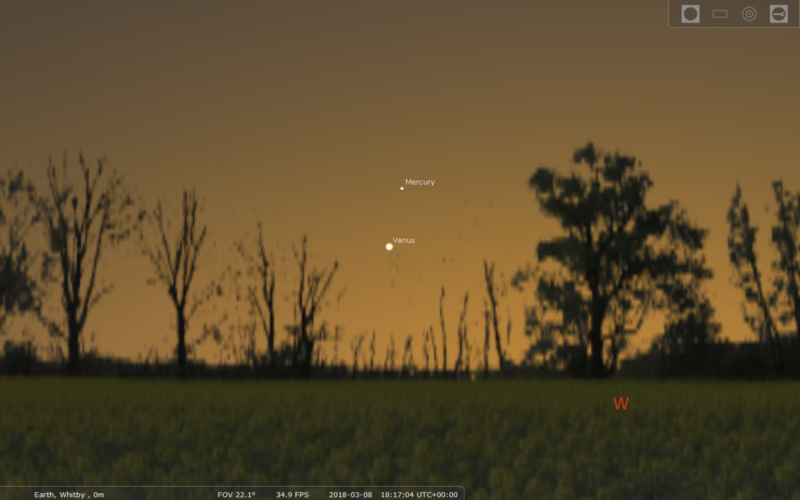 Jupiter is by far the most conspicuous residing to the south in the twilight sky. 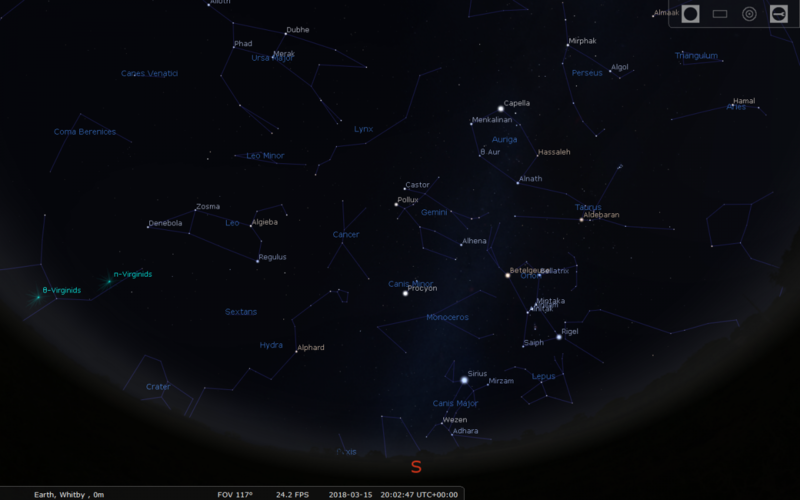 Mars lies well to the east Jupiter and over the course of March closes on Saturn located down in the southeast. 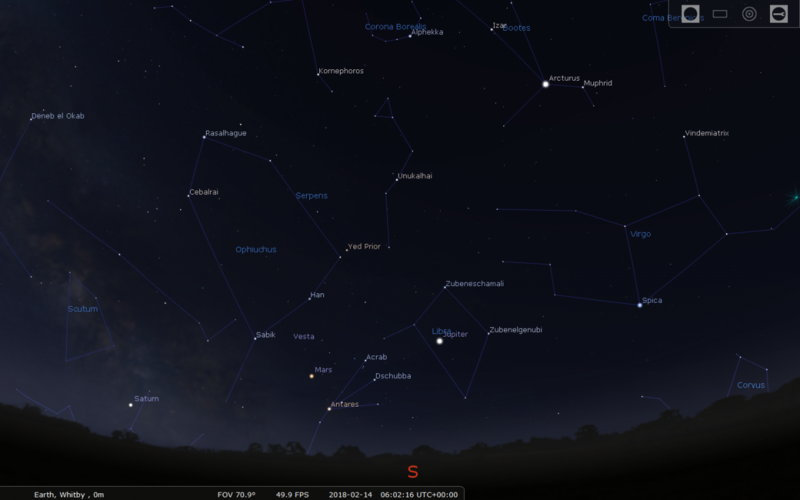 The Moon lies close by on the 11th and 12th. 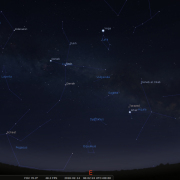 No major showers this month. 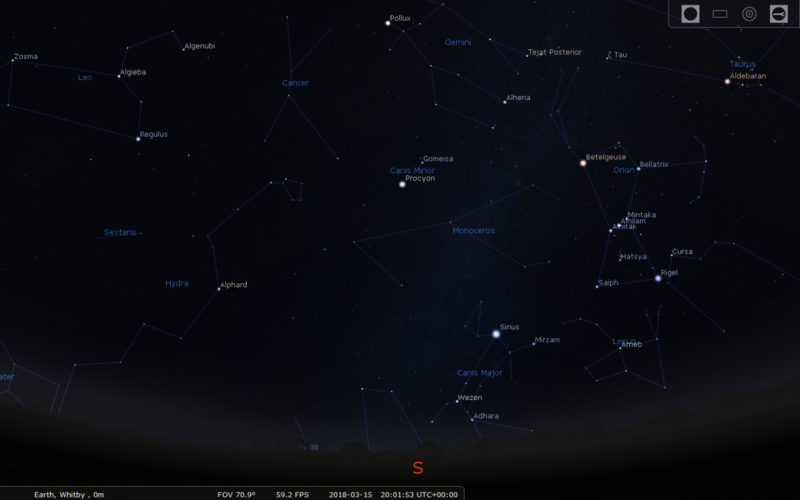 However, at the very end of March you may spot a few Viginids, which are slow moving and have long paths. 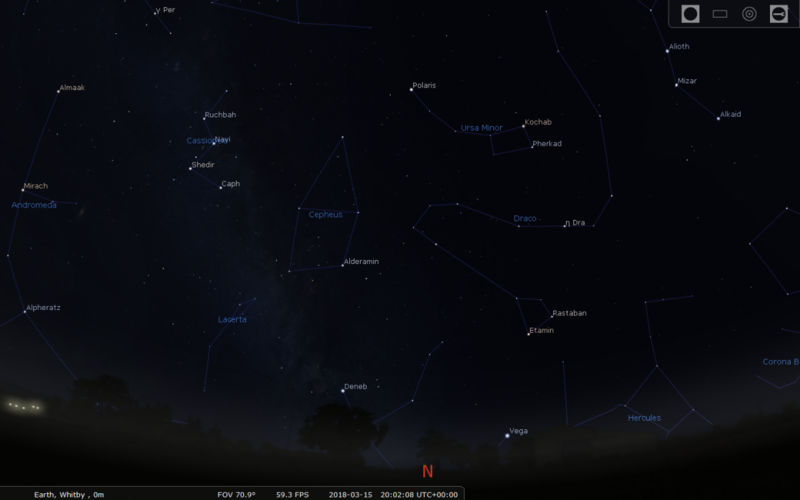 As usual early morning hours are best to spot any meteors.